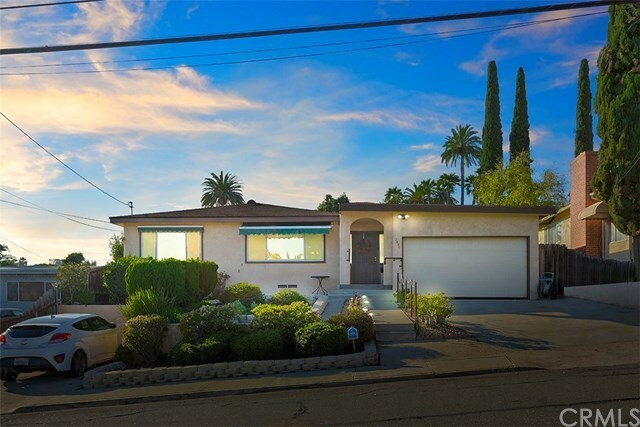 A fantastic opportunity to own a spacious single story home only a short distance from San Miguel Elementary and Mount Miguel High School, parks, local restaurants, shopping, and close proximity to the 94. 2446 Buena Vista Ave is a wonderfully laid out and spacious home- ready for its new owners! Over-size one car attached garage, and RV parking with full hook-ups. The interior features original oak hardwood floors throughout, upgraded kitchen with granite countertops, newer cabinets with glass display and peninsula island with bar seatings . Permitted family room was added by the previous owners, double pane windows throughout, newer garage floor, newer water heater, water softener hookup, and copper plumbing throughout house. The hallway bathroom was upgraded with a modern finish and ready to impress! Step out to the backyard and notice the wonderful existing planters and plants. There is a lookout deck Deck built with Trex wood in 2007 for you to take in the gorgeous views of the valley!